Does it take too long for your site to reload? Do you have to make your visitors wait? A website that loads slowly will make your visitors irritated and frustrated. This is one of the best ways to lower the rankings and destroy the SEO as Google never rank the sites which visitors don’t like. So, how to improve the speed of a website? Following are some of best practices for speeding up your site. The most initial structuring of a blog mainly should be focused on designing for attracting maximum traffic. 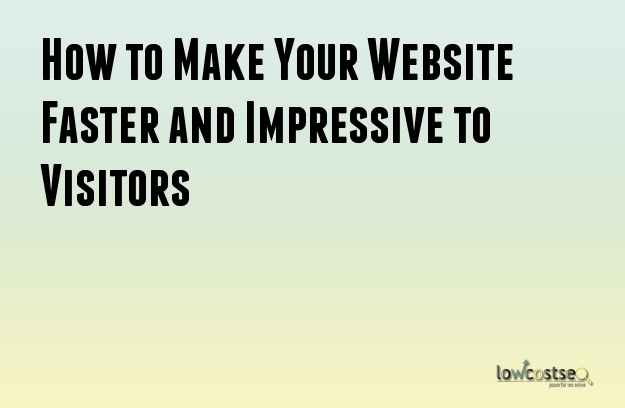 The pages of your blog should be optimized in order to attract the potential consumers and readers. This is only possible by optimizing your content by putting them into categories that will enable your readers to find exactly what they are looking for. Some of these tips should be followed for optimizing your content. Search engines mainly pick up the themes of the related content which include keyword and keyword phrases. If you work a little on your blog’s SEO in this way, you can easily get more search engine traffic. In order to make your site well-known to your readers, you have to use a content delivery network. Adding cache-control header will make your site quite easily accessible to your consumers. Moreover, never forget to zip the components. Configuration of Etags will ensure better understanding of your site. Regardless of the fact that number of readers hit on your site, if your site does not works as it would be, your visitors will never stay. In most cases, they will never be interested to visit again. It can be frustrating for you and readers for visiting your site and discover the pages which refuse to load. In order to make your site run faster, you can find a high performance webhost loading your web pages faster. You should remember that Google can penalize your website in search rankings if it takes much longer than seconds to load. If you are running your own site, then image optimization is an art which you have to master in. From the attractive shoppers to the Google images, image optimization plays a vital role for building a successful online business. When it comes to SEO, it’s very important to optimize the images along with acceptable keywords in order to help your webpage rank. Never scale the images in HTML. Creating description with keywords is of absolute necessary for image optimization.